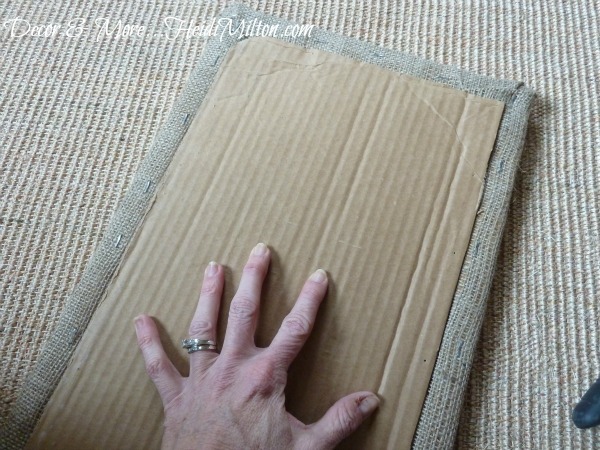 DIY Burlap Corkboard (and Happy Bday to “Us”)! March is also my blog’s 3rd birthday! I can’t believe it’s been so long, but it’s been an amazing fulfilling journey with more good stuff in store. I’m so thankful for all my readers and bloggy friends and the opportunity to share my thoughts, projects, and “more” here with you. Thank you for being along for the ride! I think a giveaway is in order, so tune in on Monday for that fun. Can’t wait! Today, I’m sharing one of my February DIY’s that I’m soooo pleased with! 1. 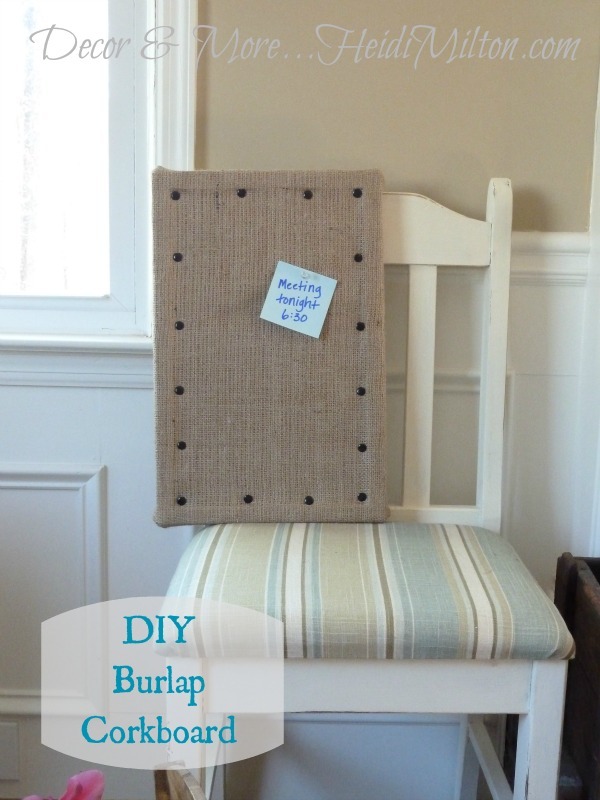 Cut your burlap fabric about 6 inches wider and longer than your corkboard and iron it to release any wrinkles. 2. 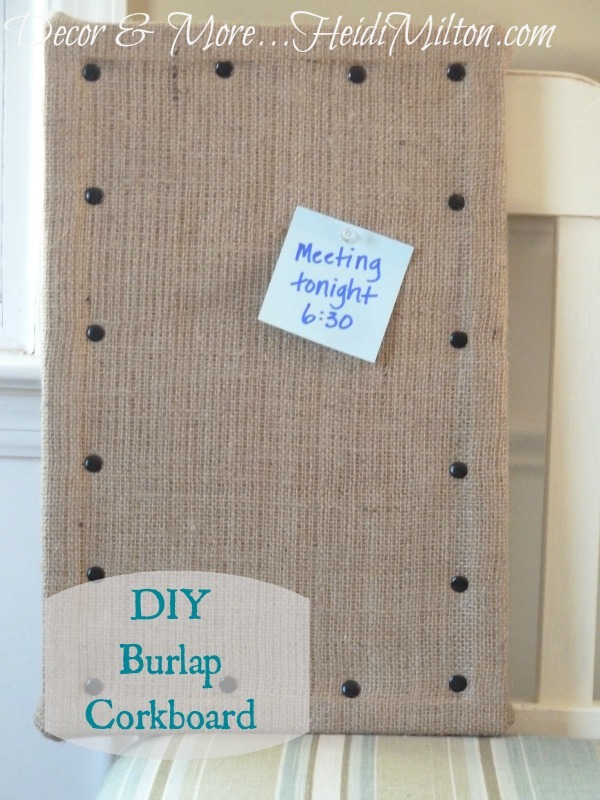 Lay the burlap on top of the corkboard and use the upholstery tacks to tack it around the edge of the corkboard, spacing them as evenly as you can. 3. 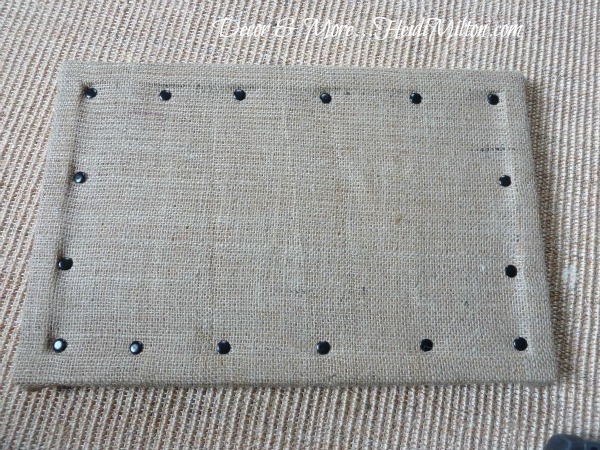 Turn it over and pull the edges of the burlap over the back of the frame and staple it to the frame. I staple all four corners down first and then begin working my way around. This makes sure the burlap is stretched evenly. It should look like this on the front when you’re finished. 4. 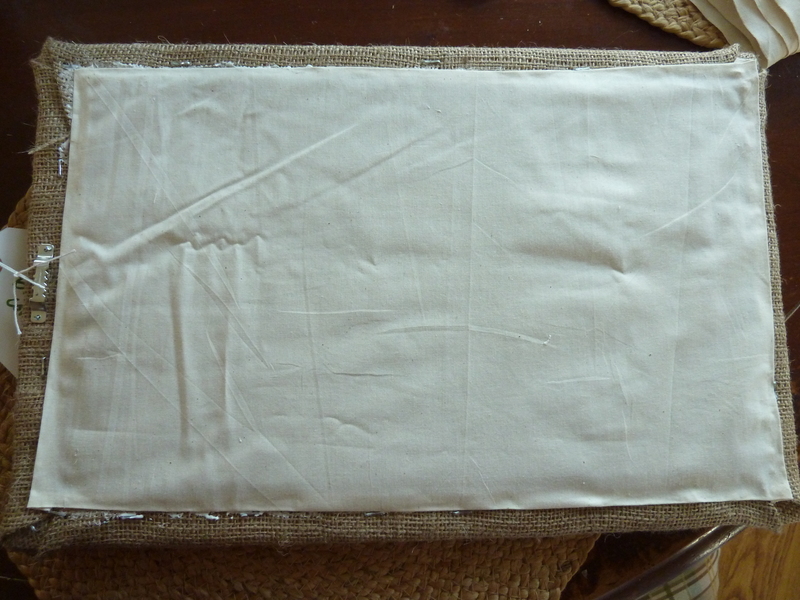 Now finish off the back to hide the edges of the fabric and the staples. I started with a piece of cardboard cut to fit inside the back of the frame. I used hot glue to secure it. But I wasn’t thrilled with the staples on the back, so I cut a piece of muslin, ironed the edges down, and used tacky glue to attach it to the back. A little better, no? I also nailed on a sawtooth hanger, since the other hangers will be covered by the burlap. I love the size of this one, but I have some super big corkboards in my basement left behind by one of our college kids, so I think I’ll try an oversized one, too. I still have a couple of February DIYs to share and have decided to continue my No Spend commitment for a bit longer. I still have PLENTY of projects waiting in the wings! TGIF, friends and come back Monday for a giveaway!! Sharing at Jaime’s… and Kim’s! Happy happy birthday, and glad you didn’t burn up on re-entry. I would say the cork definitely needs to be framed, in order to staple the burlap on and to give it stability, especially if you’re looking for a longer piece. 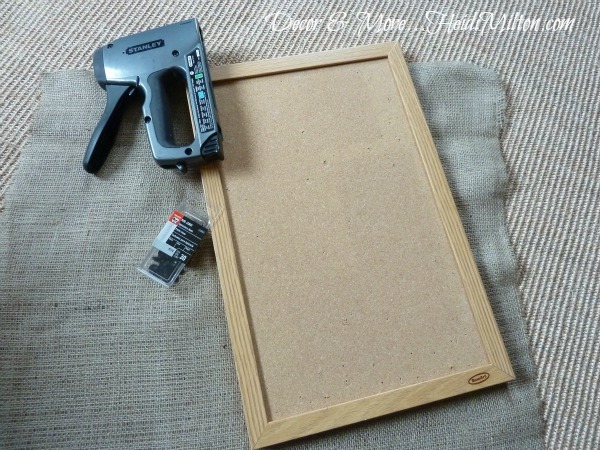 I’ve done this on a much larger corkboard that had an inexpensive aluminum frame and it worked just as well. I think it would look awkward to try to put multiple corkboards together, because the frames are usually slightly raised, so it wouldn’t be smooth continuous surface. Good luck! I’d love to see pics if you try it out! Thanks. I won’t be home until the end if September, but I will show you what I try!